Last week we had a talk on eCommerce Statistics which no one can ignore in 2017, following that today we will share you some important tips of - “How to choose an eCommerce platform?”& “What to Choose in terms of an eCommerce platform?” for an eCommerce Business. 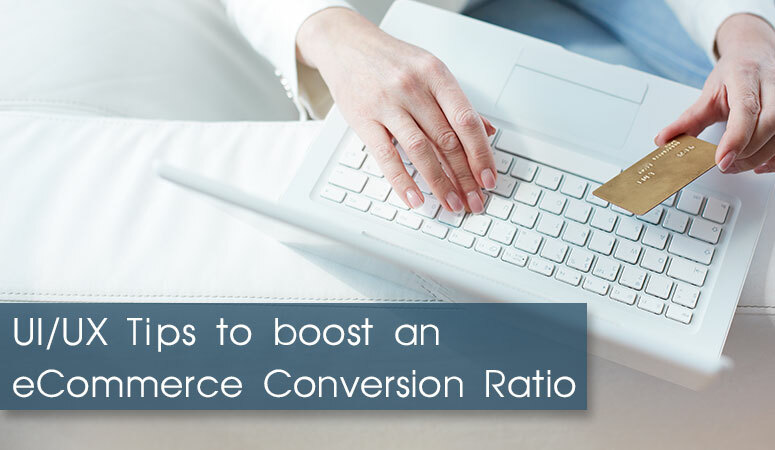 Choosing a perfect eCommerce platform is an inevitable process for any eCommerce business. As there are number of constraints, we have to consider and follow the processes to achieve those while building an eCommerce portal so that the risk of failure will be minimized to an extent when it comes about “Technology”. Here are some proven procedures one have to follow while starting an eCommerce business. You have to analyse market with respect to the products and consumers you are planning to deal with. As now days we have choice between platforms with respect to services and products in which we plan to deal. One have to set budget for an eCommerce business as it will require almost same budget what one can require to setup physical business.This helps to be in limits while investing and helps to choose optimized over the best, if the best is much costly. Further,according to my analysis “Future Up gradation” plays a vital role as buying and selling trends are changing very quickly in the Online Market. An eCommerce Portal is not a website which users are visiting to have only information. UI/UX plays vital role as if visitors enjoy then they will feel the portal is care taking and authentic where no need to prove by words. Brand makes big difference in online product selling and to achieve this one has to consistence with their choice of color combinations of the portal. Further, placements of products are vital activity as that engages the users and influence them to buy on the site. The Search bar in an eCommerce site should be easily reachable as people often use it to search their desired product. Further, it must include pre-suggestion as that helps users to know how you have presented their desires and make their life easy. For an eCommerce websites possibility of more categories and sub categories might be there.In this case, overall design for navigation must be simple and designed in such a manner so that after maximum 2 or 3 clicks user must reach end products. And to achieve this one can use mega menu which directly shift to 3rd or 4th level subcategories in order to reduce the number of clicks. Use of very precise Banners with respective slogans plays very important role in terms of engagement of client. It is a medium to build trust with your target clients so that they believe in your portal. Use high quality photographs for each product and provide multiple photographs (multi angle) photographs so that user can view it in every possible way. Also if possible, add video or video url of product to increase the interest of user.It will help user to choose product from the list. Keep easy access to the final shopping cart page from every page so that user can view and verify it easily and add or remove products easily anytime. Provide live chat support to solve the queries of the customer. It helps to build confidence of customer to buy the product and you will have opportunity to sell your products directly to prospective users. Analysis says online business “loses roughly 25% of its online visitors if the site takes over 4 seconds to load”. The most known reasons for higher site speed is inefficient use of database SQL queries, oversized image, data redundancy, server performance, improper redirection, improper caching. It is highly advised that the new user signup process must be short and contains only field that are most necessary like email id, name, contact no and Address. You should also focus on this points to increase conversion rate by Itamar Gero that helps you to increase traffic and sales. I hope the information shared with this blog helps readers while choosing an eCommerce platform by considering all above mentioned constraints. Or feel free to be in touch with us at: www.vedwebservices.com for 30 minutes free consulting. It’s really very complex in this full of activity life to listen news on Television, so I simply use web for that purpose, and take the latest news. I don’t even know how I stopped up here, but I thought this publish used to be great. I do not recognize who you’re however certainly you are going to a well-known blogger in the event you aren’t already. Cheers! Please do share it with your connections.